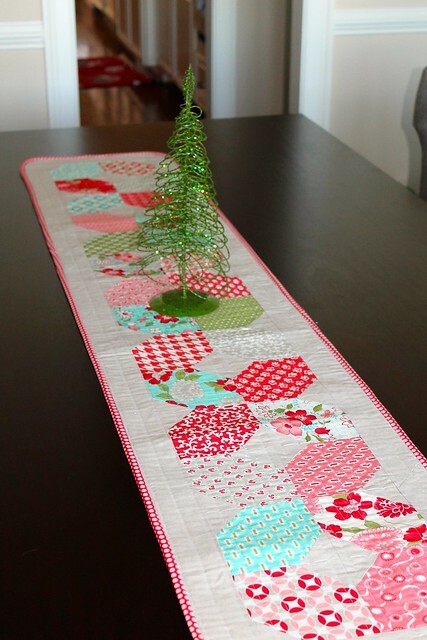 Made this table runner for the holidays. Hubby says it isn't festive enough, but I took Susan's suggestion and stuck a tree on it. BAM! Festive! ha ha! 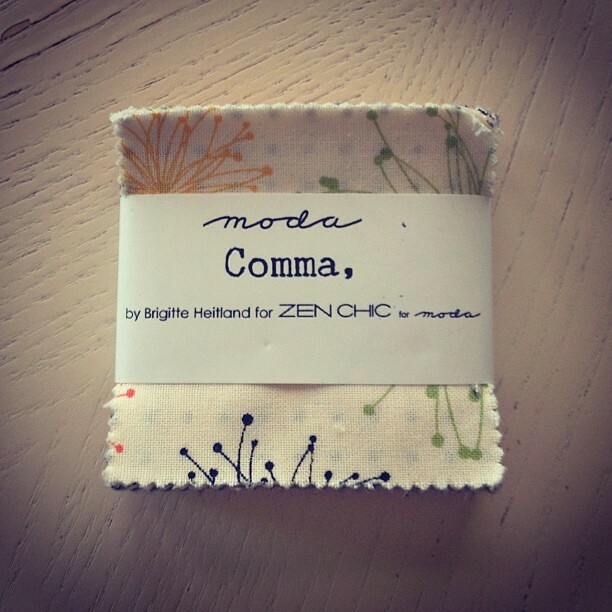 I did a little binding experiment and it didn't come out exactly how I wanted. This bit looks good, but there were parts that didn't catch and I had to go back over them. I feel like this re-stitching makes the back look messy and I can't, in good conscience, sell or gift something that looks sloppy. Oh, I also managed to use straight-grain biding on the curved corners! 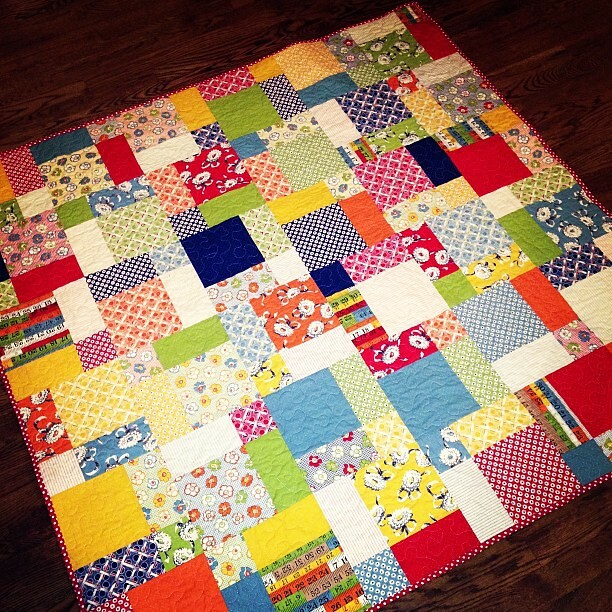 Lazy quilters shout "hell yeah!" 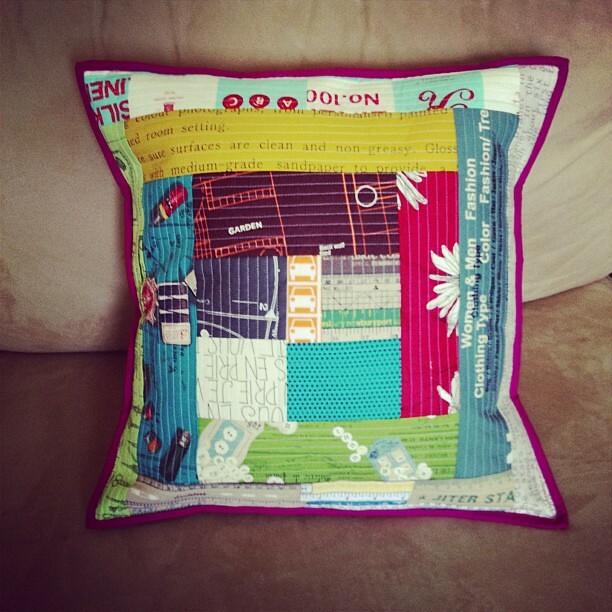 Turned it into a pillow. I'll probably sell it since it doesn't really go with anything at my house. 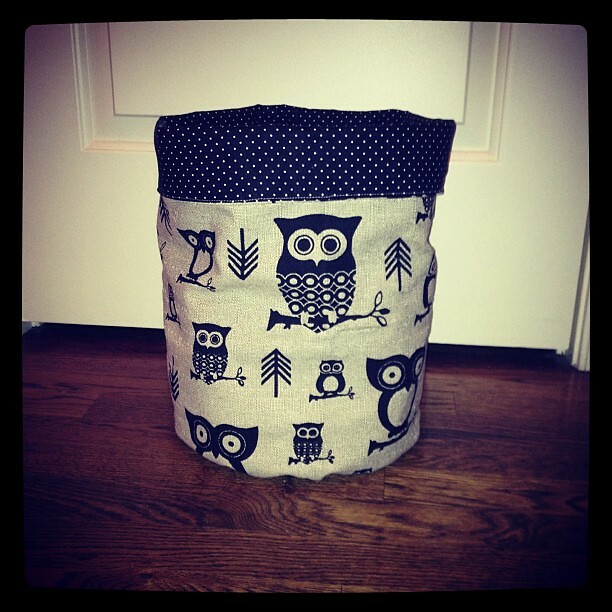 Made fabric buckets with Ashley's tute. I think this is my new method of scrap storage--SO much easier for lazy old me! oh yeah, made this one too! Finished quilting this top that has been done for a while. I planned on selling it, but my oldest said he wanted it. Since my kids rarely show interest in what I make, I caved and let him have it. My sweet friend, Stefanie, brought me this sweet mini charm pack from Market! Isn't it cute! Any suggestions for what I should make with it? I agree, the runner is gorgeous!!!! I'll have to try that block in a runner. So pretty. The runner is super cute! Your dining chairs are awesome!! Super crafty lady! 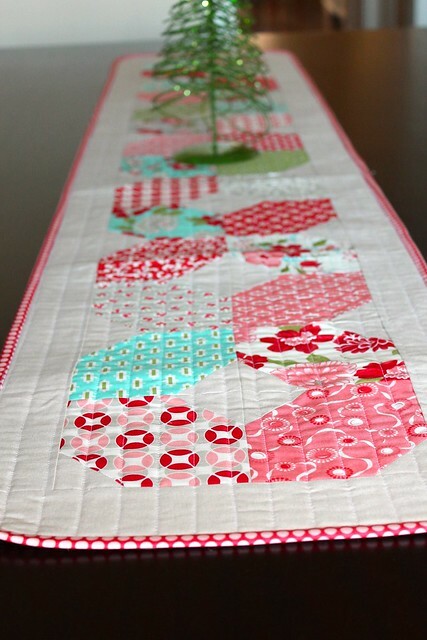 such lovely projects, I especially love the runner and the little quilt, so very cute. How fun that your little one wanted it for himself. Lovely runner. I really like the rounded corners. Love your runner. I think a pillow in the tiny charm pack would be so cute. Love the runner, especially with the tree, haha! I'm going to need to try those buckets, my scraps need some better digs. Hell, yeah! 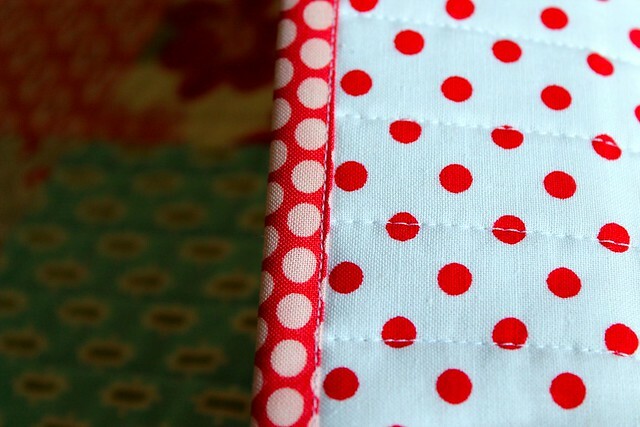 Totally guilty of using straight of grain binding on rounded corners. 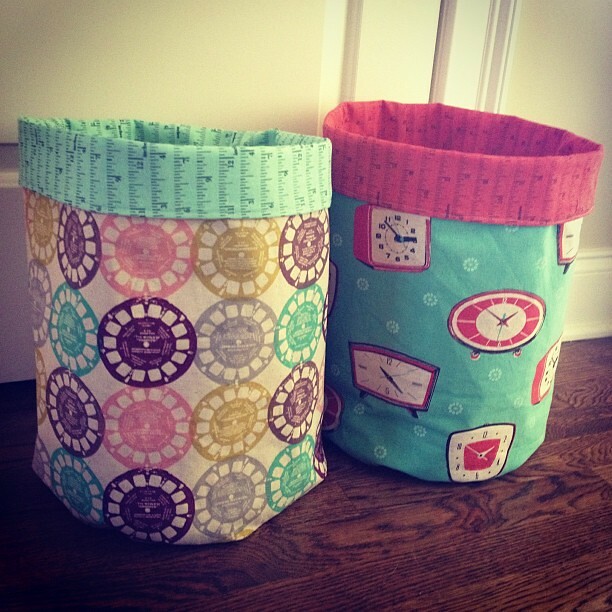 Did you use interfacing on the buckets you made with the linen fabrics? Just curious as to how well they stand if you didn't. I want to make some but I don't want floppy buckets. I think the tree makes the runner so OTT Christmassy, I'd rein it in if I were you! That little tree rocks! And your Gretchen Wilson is coming out. "Hell Yeah!" is right when you find a shortcut. Oh, I may need to positively copy you, as best I can:) I love that runner...can you tell me what block that is? I have holiday runner on my list but couldn't come up with what...thank you! If you like it then you better put a tree on it. 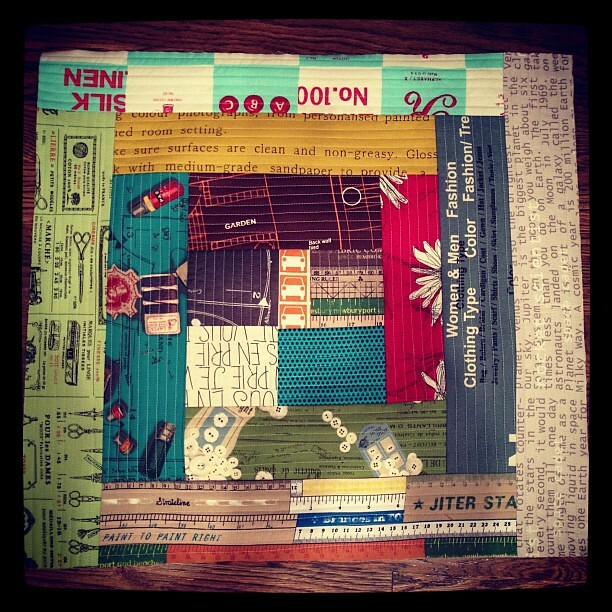 wow - all sorts of quilty goodness! This is all absolutely GORGEOUS!! 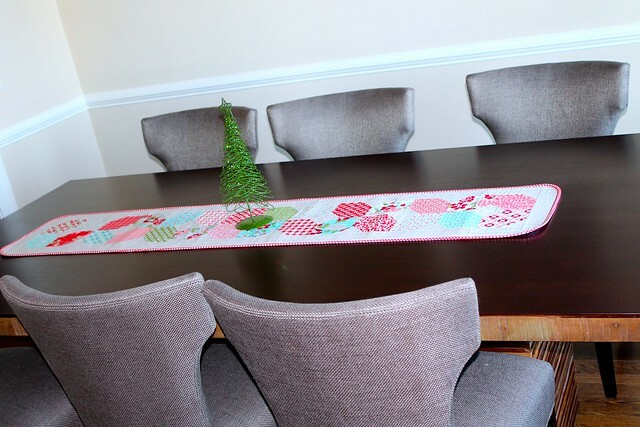 Love love love that table runner.